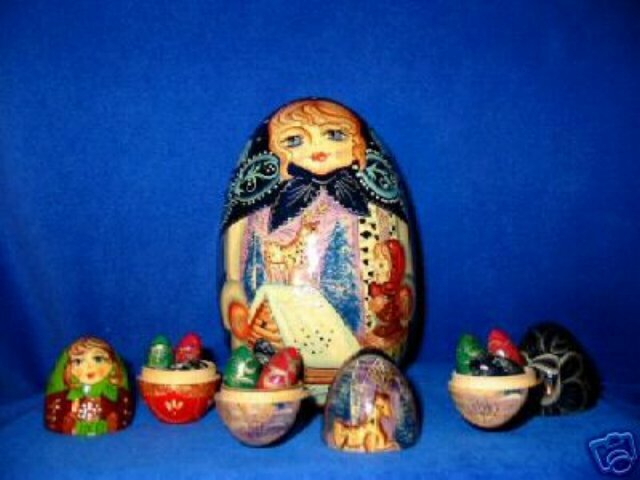 Exquisite hand-painted egg doll holds three eggs, inside are three more eggs. This girl has a dark blue scarf with blue flowers. She has a log cabin and with a deer standing on the roof. A little girl is watching out the window dressed in a light green skirt and dark red top.